Nobody likes a dull and boring party. And we ensure that never happens. Not on our watch! We provide the most popular forms of entertainment at all our events. And this includes a well-crafted photo booth prop complete with all accessories and a dedicated photographer to click those candid moments. Photo booths are a great way to capture the celebration and show off the theme of your party. Not only are the photo booths a great addition to the night but having a few fun props to use while snapping your pictures is a creative way to express your silly side and have a little extra fun with your friends. The kids love it and it’s always a great hit in all our events. 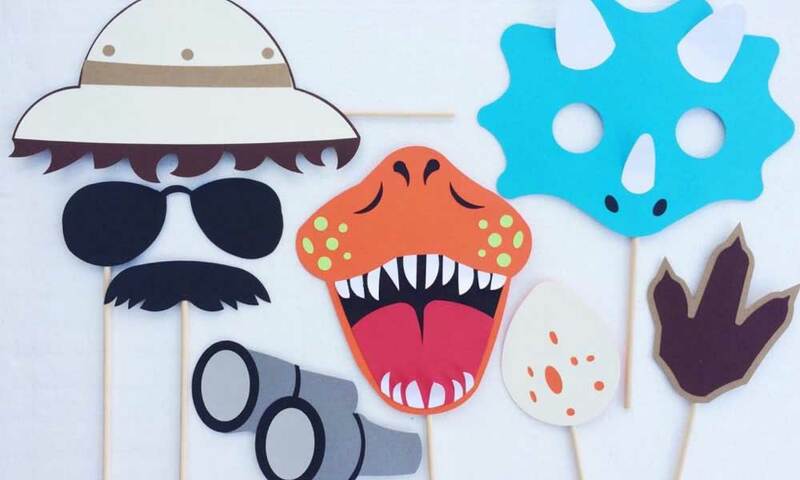 So, if you’re planning a birthday party, we have some great options in photo booth props that you can use!We provide the best photo booth props for birthday party! Some of the most popular props include Giant Paper Flowers, Superhero Masks, Bunny Ears, Celebrity Photo Booths, Emoji Masks, Crown Flower among others. These things can really spice up any photo booth photo and highlight the fact that you are having a lot of fun. You are probably already aware of the fact that when it comes to taking photos, you can either be serious or wacky.Well, nothing can highlight the fact that you are being wacky more than the use of as many photo props as you desire. A typical photo booth will have the usual set of fun photo booth props that many people will find useful when they are looking to have their picture taken in the photo booth.Another great advantage of photo booth props is that you can combine as many as you like. For instance, you can have a photo booth that has both birthday props as well as other themes. There are many different ways to have fun with photo booth props, and the only limit is your imagination. Not just that- after the party, we create an online album of all the shots from the photo booth and even send each guest a print as a thank you note or keepsake favour.Photo booth props for Birthday Party is an absolute necessity these days. Birthday on Call has become a well-known name in the event management industry. We are a dedicated team of professionals committed to your happiness. Let us serve you and create some memorable moments. Birthday on Call is simply the best in the business of birthday planning. We have a dedicated team of event managers who are courteous, experience, polite and give you the best advice in terms of what is appropriate for your party. They are very cooperative all throughout and open to understanding your needs. They give you a detailed breakup of the amount spent, which is something very different from other event planners. Hire us and you will truly have a great time !